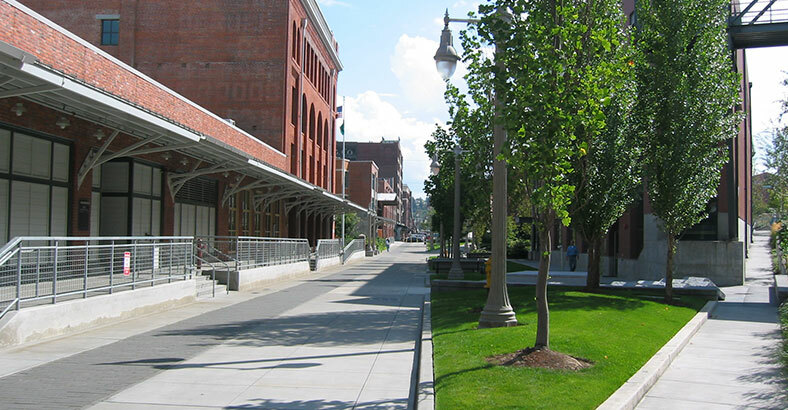 The 40-acre Phase I portion of the UW Tacoma campus has received much praise for its transformative powers in the historic district of downtown Tacoma. Located on Pacific Avenue across from the Washington State History Museum and renovated Union Station Federal Courthouse, the Phase I Campus has become a catalyst for redeveloping the historic Union Station District and the downtown as a whole. 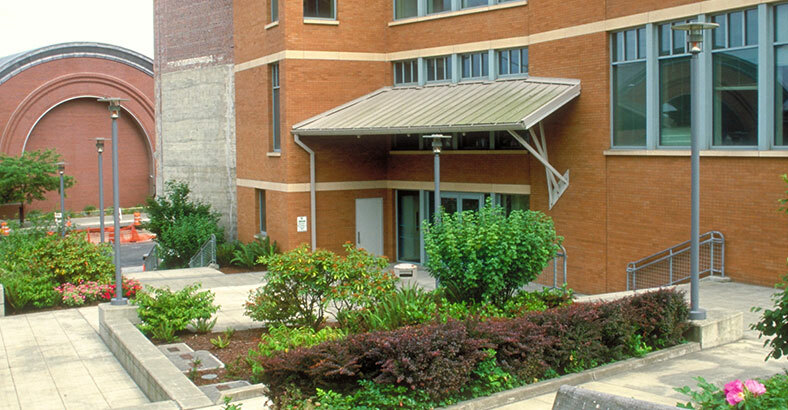 The first phase of the 40-acre site involved the renovation of six historic buildings, the addition of one new library building, the conversion of two major streets into pedestrian walkways and green spaces, and the creation of a public gateway into the campus from Pacific Avenue. 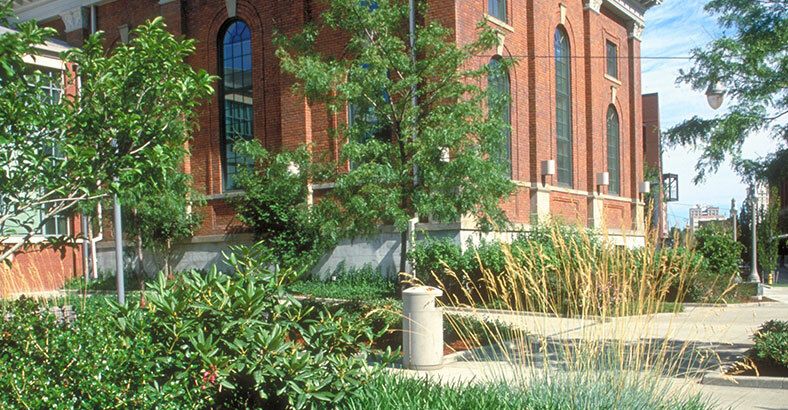 As the associate landscape architects to the prime consultant (Moore Ruble Yudell Architects), we completed the design development and construction documents from the schematic design developed by the landscape architecture firm of Hanna Olin, Ltd., of Philadelphia. Our firm worked closely with all the team members, including LMN Architects, the associate architect, to integrate the design of the outdoor spaces into the overall project. 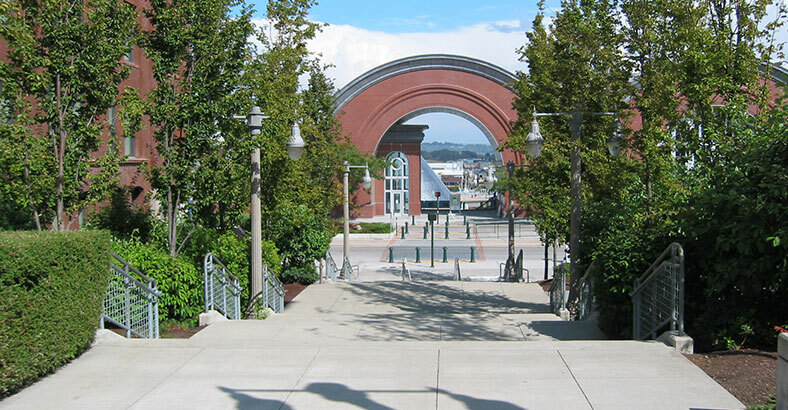 Coordination among the landscape architects, architect, civil engineers, the University, and the city of Tacoma was essential to successful completion of the project.